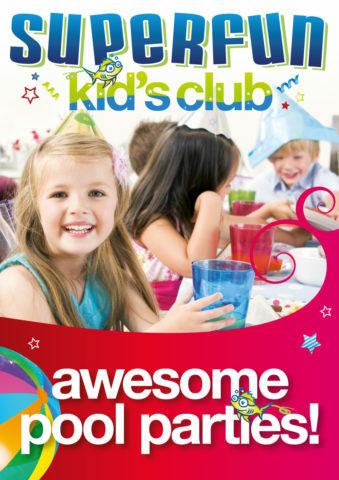 A fantastic 2 hour, fully catered pool party, with fun activities and party games with a qualified instructor. Suitable for children age 6 up to adults. A range of Birthday Cakes and Cupcakes are available for order or you are welcome to bring your own birthday cake for your party booking. A range of additional food and drinks are available for purchase at the café/kiosk. The use of a BBQ is available for an additional $20.00 hire charge. 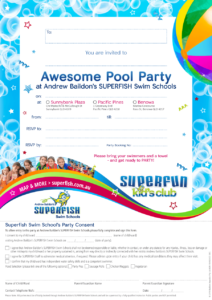 Extended times and or variations to the standard options can be organised through Superfish Swim Schools management. Patrons are welcome to further decorate and theme the party if required.